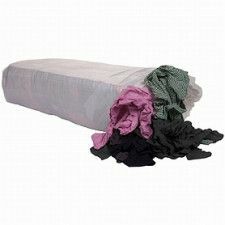 Dark cotton polishing rags absorb just as well as light colored polishing rags. When the rag is dirty you can not see that, that can be a disadvantage. These cleaning rags are considerably cheaper. This is because more dark clothing is in circulation than pastel colors. Colorful polishing rags have the same absorbency as white or light polishing rags. In general, colorful polishing rags are often used for heavy and very heavily polluted work. 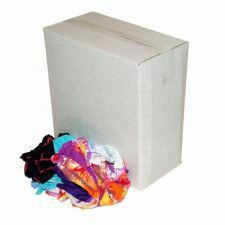 Colorful polishing rags are ideal for when the color does not matter and the fabrics become very dirty anyway when cleaning the work environment such as rooms and machines. They are also economically responsible, since they can be washed out and reused several times. With dark cotton polishing rags, it is less clear to see what you have removed from dirt during brushing / wiping. When working with solvents it is advisable to use white polishing rags, as dark cotton polishing rags may have synthetic fabrics and prints for the color. Due to the chemical effect of the solvent with the rag, the color can be released. 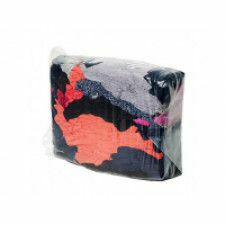 The biggest advantage of dark cotton polishing rags is that they have a black quality and can be used well for heavier cleaning. They are also reusable.